Now you might be wondering about the headline, and so I feel the need to clear it up rather early. No, to my knowledge, Goat Simulator is not game of the year, nor is it likely to ever be. Realistically there’s just too much competition in that department, going against AAA titles… I could go on at lengths about this semi-redundant point, but I’m sure you’ve caught my drift. Well this is certainly Goat of the Year. After playing the PS4 edition for a few hours, I’ve come to the conclusion that this game is a gem and needs to be played. This is my own personal opinion of the game, and is by no means universal. It’s not for everybody, mainly for those who are easily amused and juvenile in humour (which I’m frequently guilty of). 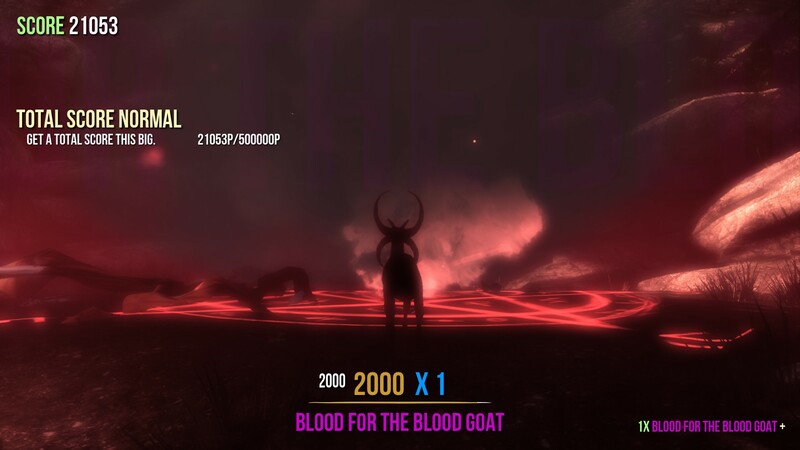 Unless you’ve been living under a rock, you’ve likely already heard of Goat Simulator. I hadn’t played the Steam version prior, but with money to spare and that cheeky goat grinning at me on the PlayStation store’s page, I decided to dive in and throw caution to the wind. I’m a very particular gamer – generally not a fan of FPS or MMOs, I enjoy open world RPGs so long as they’re not *too* open world, very snobby about games that label themselves as “horror”. Simulators were that weird genre that fell somewhere in an overall unidentifiable “ehh” spectrum. It was pretty out of character for me to buy this on a whim, but thankfully, my sense of adventure didn’t leave me feeling like I had flushed money. Who doesn’t want to live this guy’s life? You’re thrown into one of two starting areas depending on which you choose, asked to choose from multiple “mutators” (the use of which becomes apparent very quickly) and are immediately left to your own devices in this quirky sandbox. “You’re a goat, go have fun being a goat,” Coffee Stain Studios seems to say. Buying hats, committing demonic sacrifices of fellow goats, taking over a rave party on top of a skyscraper, beating up turtle men in a sewer, licking a passing hang glider after you slo-mo jump from the arm of a crane… Just the average day in the life of this farm animal. Want to lick that park bench? Have some points for doing so! 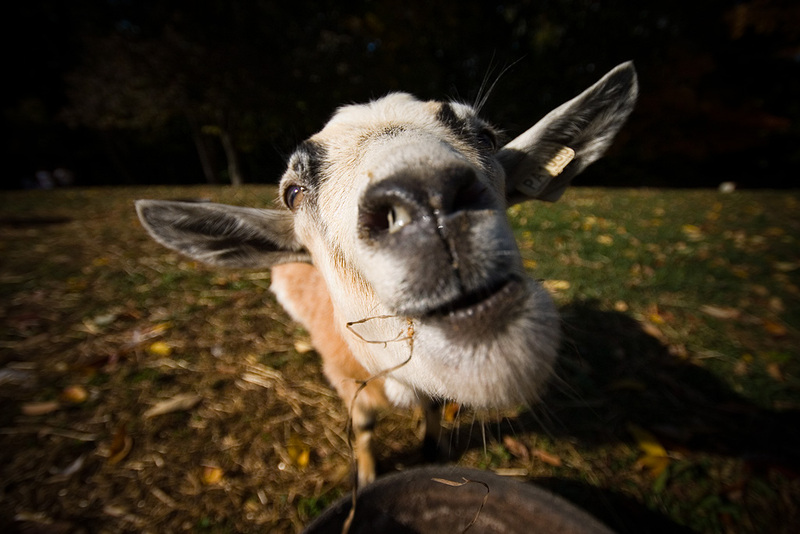 Goats are deeply spiritual animals. Truthfully, the game is a cheap novelty; comedy-centric games are rare but simulators aren’t. There isn’t much to Goat Simulator in terms of style or substance, it doesn’t have the best graphics, or voice acting, or the best anything really. You likely won’t pick up the game again after you’ve done everything you can possibly do. But damn if it isn’t the best way to kill a few hours, either by yourself or with friends, and a couple of drinks. 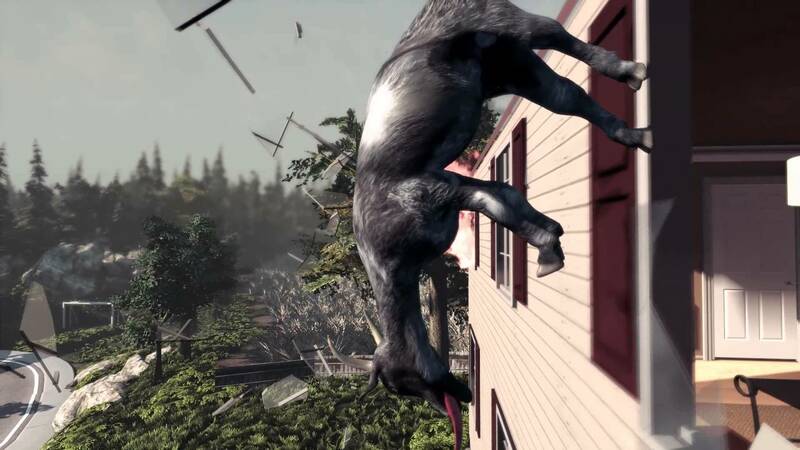 Though you might also get the same level of enjoyment from watching a few videos on YouTube, if you don’t feel Goat Simulator is worth the cash. For the latest goat news follow LoadScreen on Twitter @load_screen and like us on Facebook.